First Grade Critter Cafe': Book Study: No More Phonics and Spelling Worksheets! 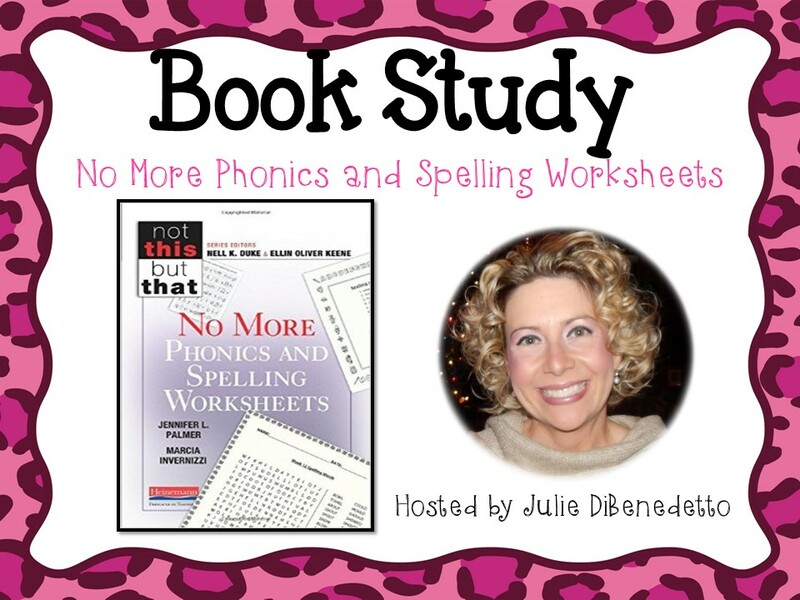 Book Study: No More Phonics and Spelling Worksheets! As I begin my 14th year of teaching first grade, I already feel that I have observed the full swing of the pendulum regarding best practices in balanced literacy. An enormous goal of mine this summer was to READ and RESEARCH ways to improve Word Study in my classroom. 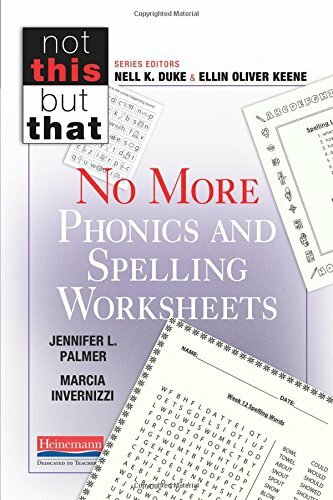 More specifically, reducing long Phonics lessons and creating word study that is unique for each student in my classroom. 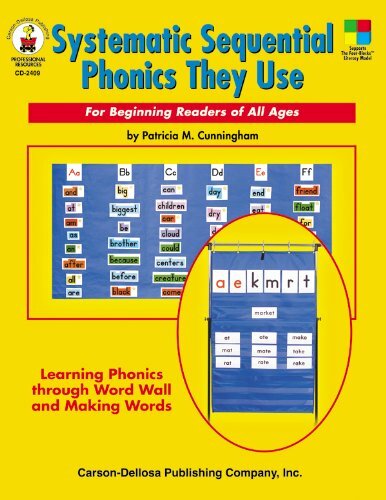 Phonics in particular has taken on many different forms in my classroom over the past 14 years. 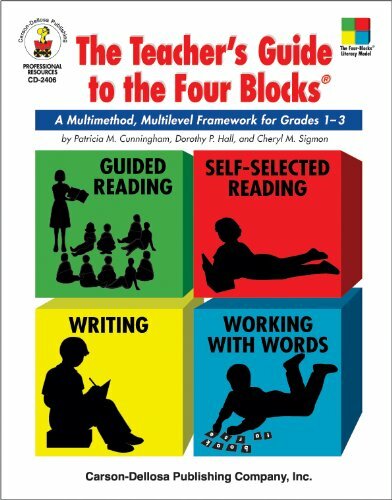 I began teaching using the Four Blocks methodology by Pat Cunningham. One fun piece of that was incorporating her Daily Systematic Sequential Phonics They Use into daily lessons. I value the HEART that was put into creating this foundation into early literacy and decoding skills. As the years went by, and I began refining my teaching practices, my teacher gut knew something was missing. Students could make the words. Students could sort the words. Students could build bigger words. But when it came time to for a spelling test, students were not recalling patterns and relationships of those same words we worked so hard on all week long. The lessons were long, I was exhausted, and I was running out of ideas. At or around teaching year #4, I happen to catch a few sessions with Tim Rasinski and my lightbulb was flickering with hope! 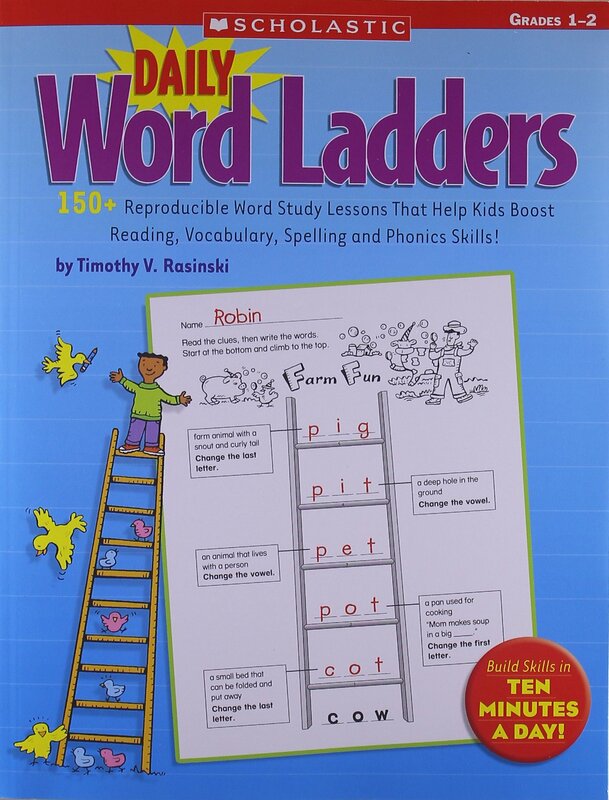 Tim presented me with a fresh and fun new way of reaching MORE students with daily word study. 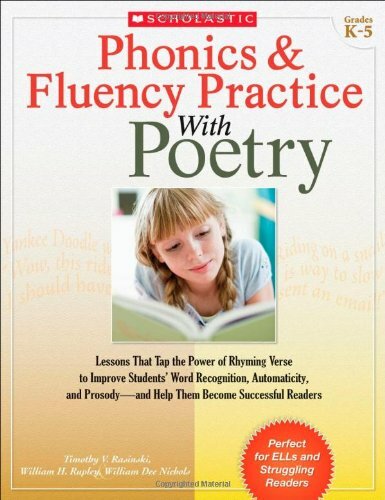 I began to incorporate daily phonics poetry into my lessons. 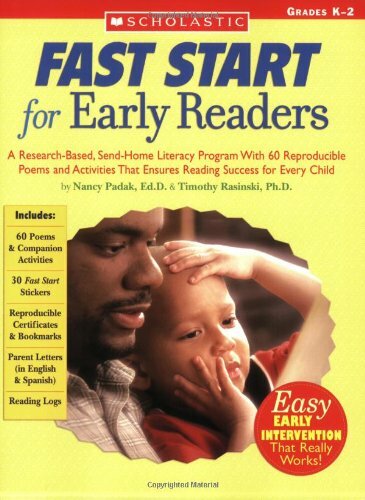 I also use Tim's Fast Start for Early Readers Program every week for homework and my parents LOVE it! Parents applaud Tim's explicit parent directions so my families at home can have a similar style of "phonics language" that mirrors what I am using in the classroom. 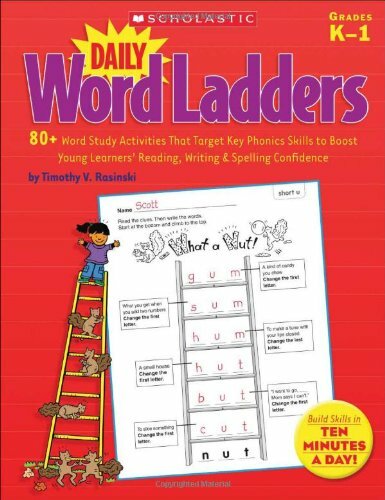 Another HUGE favorite with the kids is Word Ladders! Tim created this first version a few years back for Grades 1-2. Last week, I saw that he has a new K-1 version so I grabbed it fast off of Amazon and it should be here any day! This is perfect for the first semester in first grade! Of course, my Word Study was getting better, but one MAJOR problem still existed. I was still teaching a "one size fits all" model. 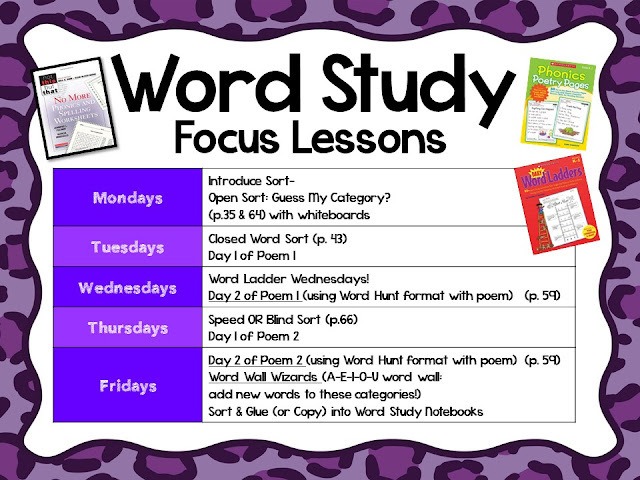 I know my firsties better than anyone and I became increasingly frustrated that I did not know HOW to find time to differentiate word study even further, so that each child had a selected list of words to focus on each week. 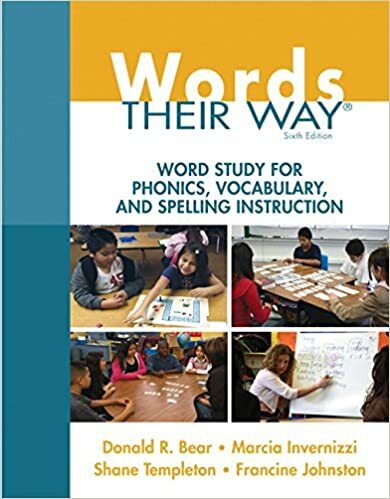 So much has changed in the last 14 years, yet my district has not implemented any new best practices (or teaching materials) in regards to word study development. My district however, supports me in an incredible way with allowing me the freedom to explore and try knew things! It might come out of my own pocket, but their support is very much appreciated! My sweet Kinder team have already "whispered in my ear" and given me the heads up that I have an ENORMOUS range of reading levels in my new class and if that is already the case, I need to individualize and differentiate as much as possible. I began hearing that teacher voice saying YOU CAN DO THIS! 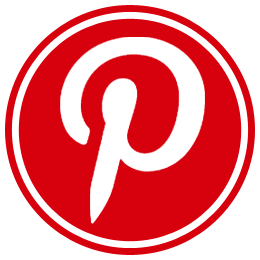 When in need, Pinterest and Amazon are my go-to departments! I began scrolling through Amazon for professional teaching resources..... And BAM! This little baby pops up! With zero hesitation, I bought it because who doesn't LOVE Nell Duke, Marcia Invernizzi and Jennifer Palmer! Don't walk, RUN to Amazon and buy this book! It is a FAST and EASY read. Only 80 pages, but it is JAM-PACKED with Word Study goodness. I felt like SHE-RA saying "I HAVE THE POWER!!!!" 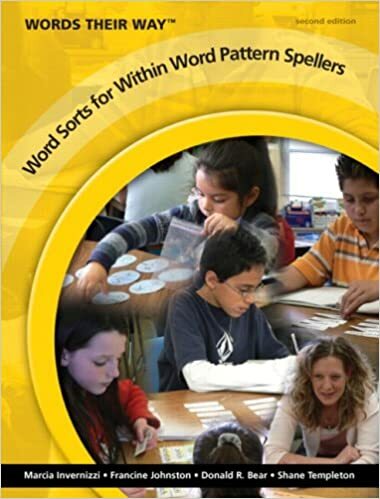 This book will completely change your mind about following prescribed spelling lists! My district level first grade team has struggled with "spelling lists" for years and hopefully we can take this new learning and create something much more meaningful. The book begins by debunking the Factory Model of teaching spelling and phonics. We are encouraged to STOP the assembly line and take time to think aloud. Are we just entertaining our kids with catchy songs and chants? Or do we have full engagement that leads to transference? What does EACH CHILD KNOW and How can we Teach from there? Guess what? One Size DOES NOT Fit All and there IS a Better Way! In section 2, the authors challenge us to LET our students SHOW US what they already know and what we should be teaching each of them. We should embrace student diversity in Word Knowledge! We are presented with awesome examples of student assessments which should happen the first week of school. Once students have been assessed on what they ALREADY KNOW, the authors present ways to meet diverse needs through differentiated small group instruction. Section 2 also debunks all the myths about English Spelling which I found to be so powerful! 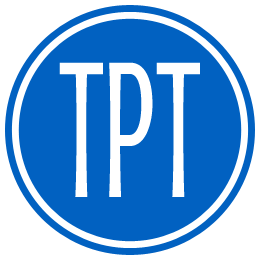 I should be teaching for TRANSFER and providing teacher talk that promotes thoughtful analysis of words. 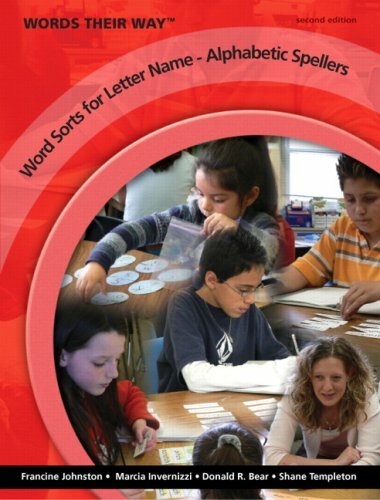 What are the Critical Principles for Word Study? *Look for what students "use but confuse"
*Compare words "that do" with words "that don't"
In Section 3, Jennifer Palmer presents "What are students ready to learn?" and follows up with how using the right assessment tool can reveal much more than we ever imagined! Jen compares encoding skills to decoding skills and how that looks different for each student in our classroom. Well, I searched out each author a bit more and found that Maria is also the co-author of the infamous "Words Their Way!" This new edition is on pre-order at Amazon! The release date is August 21, 2015. I am also purchasing these companions! I have created a little planning template to ponder as I get started for the school year... This is just a preliminary plan. Tweeking will come once we get things started I'm sure! 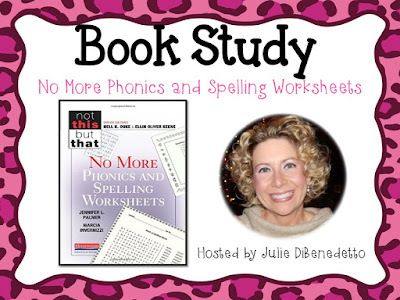 The page numbers referenced above come from the sort examples from "No More Phonics and Spelling Worksheets!" I found an extremely helpful post published by Second Grade Window. Emily and Heidi have all kinds of forms and ready-made Spelling Lists to get you ready for student assessment with word study. They also have done an extensive blog post IN DETAIL on how to get Words Their Way started in the classroom. BRAVO ladies! Click here or on the image below to visit their blog and grab these amazing freebies! 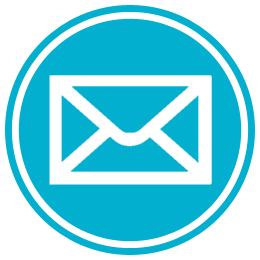 I know once the school year gets underway and I have given my first round of student assessments, I will be back with a follow-up post to let you know how things are going. I hope this book study has motivated you to reflect on your own current practices in regards to teaching Spelling and Vocabulary. Thanks so much for stopping by! Thanks so much Emily! You will LOVE the book! Especially with all the word study you do!!! Loved finding out about all this, you've given me a lot to think and read about Julie! Thanks for sharing this informative and truly valuable post. I am so excited that you found this interesting too Leslie! 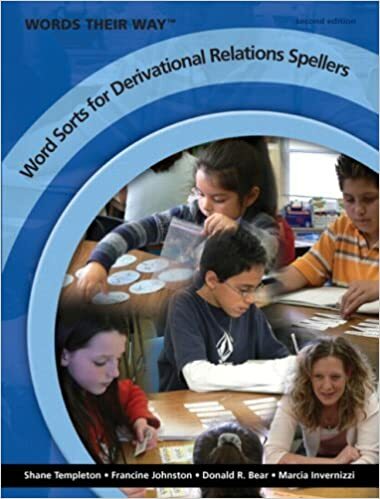 It has totally brought me around to differentiating my class even more when it comes to spelling lists and word study. I am now thinking....What do my students ALREADY KNOW and how can I teach from there? I need to disband the old thought that a one-size-fits all! Looks like I have found my next research project... Thanks for the fabulous info Julie, I cannot wait to check out the links you included. Happy Thursday!!! This is a great post! Thanks so much for the shoutout! And I'm so glad our post was helpful.